Monitor, adjust and regulate hydrogen gas with our hydrogen gas regulators. 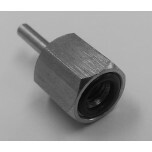 Also provided are fittings for air tight hydrogen transfer and utilization. 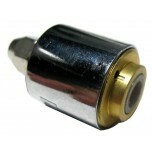 Straight fitting designed for use with both old and new versions of the Horizon HydroSTIK metal h.. 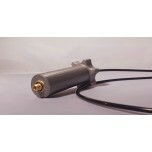 Compact high pressure 1-stage regulator for use with lecture bottle or other cylinder with a CGA .. 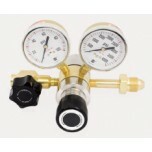 The High Pressure 2-Stage Regulator was designed and constructed for both high purity and general.. 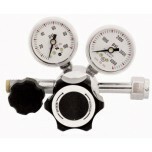 Horizon's H-Series Pressure Regulator fits HydroSTIK and HydroSTIK PRO canisters and reduces the .. 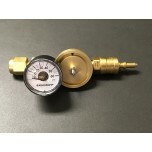 The PR-30 Pressure Regulator is designed to regulate the Hydrogen output pressure of a Metal Hydr.. 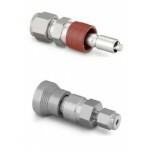 The HydroFILL PRO Adapter allows for a direct connection to the HydroFILL PRO Hydrogen outlet, en..
Swagelok Fitting Adapter Set for fuel cells. Stainless Steel male and mating socket set wit..